Range 32°F to 392°F/ 0°C to 200°C. 23 hour 59 minute countdown timer. Stainless steel probe with a silicone cord. 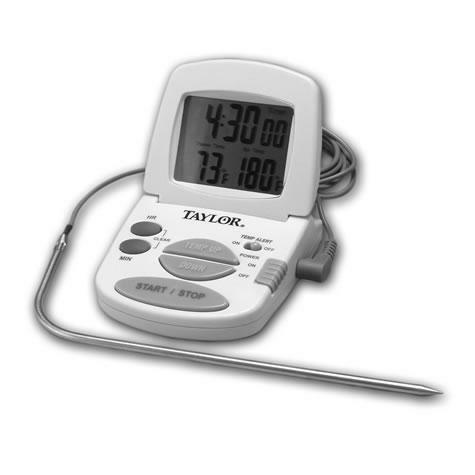 Temperature alarm signals when food is done cooking. On/off switch to prolong battery life. Magnet on back for mounting unit to stove. Replacement probe model 1470NRP is available, sold separately.